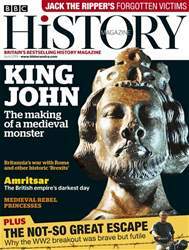 As Britain’s best selling history magazine, BBC History is a must-have for historical enthusiasts of all interest levels. Written by world-leading historians and expert journalists, each issue brings history to life with in-depth, informative and interesting articles covering all periods of history - from ancient civilisations to modern historical events. In every issue of BBC History Magazine, you’ll find an array of fascinating features delving deep into the history of mankind. Discover reviews of the latest historical books to be released, updates on new research and findings from the field and details on the best historical TV and Radio shows to look out for. For history fanatics across the UK, a digital subscription to BBC History Magazine is essential! Why not get yours today? 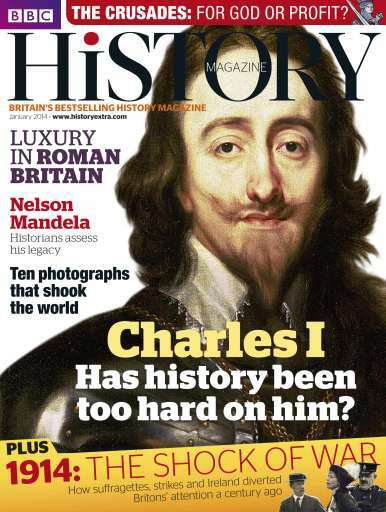 For the January issue of BBC History Magazine we look at the reign of Charles I and ask whether history has been too hard on him. Also this month, we examine how the outbreak of the First World War came as a terrible shock to Britain, ask 10 historians to select what they believe to be the most important photographs in history, and investigate what drove crusaders to the Holy Land in the 11th and 12th centuries. 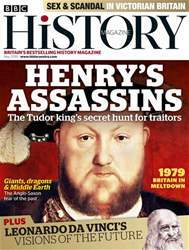 BBC History Magazine is dedicated to delighting history fans of all levels by bringing readers closer to the most important events in mankind’s time. Each issue explores an array of different periods and events from the Romans and the Greeks to the World Wars and modern history, no matter what you are fascinated by you’ll find it in your BBC History digital subscription. With features from some of the world’s finest historians, you can be sure that each issue will inform, as well as entertain and continue to peak your interest. You’ll find regular features such as reviews of the latest historical books to hit the shelves, quizzes and prize draws and information on upcoming historical TV and Radio shows. 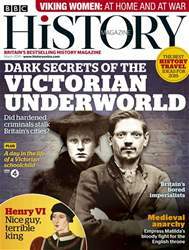 What’s more, BBC History Magazine won’t just throw you into the past, but will also keep you up-to-date on the latest research and groundbreaking findings from the field, helping piece together more and more information about our history. Whether you’re studying, working in the industry or just a general history enthusiast, you’ll find what you’re looking for with a digital subscription to BBC History Magazine.